Serse (Italian pronunciation: [ˈsɛrse]; English title: Xerxes; HWV 40) is an opera seria in three acts by George Frideric Handel. It was first performed in London on 15 April 1738. The Italian libretto was adapted by an unknown hand from that by Silvio Stampiglia for an earlier opera of the same name by Giovanni Bononcini in 1694. Stampiglia's libretto was itself based on one by Nicolò Minato that was set by Francesco Cavalli in 1654. The opera is set in Persia (modern-day Iran) about 470 BC and is very loosely based upon Xerxes I of Persia. Serse, originally sung by a soprano castrato, is now usually performed by a mezzo-soprano or counter-tenor. The opening aria, "Ombra mai fu", sung by Xerxes to a plane tree (Platanus orientalis), is set to one of Handel's best-known melodies, and is often known as Handel's "Largo" (despite being marked "larghetto" in the score). 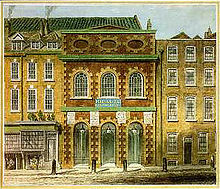 In late 1737 the King's Theatre, London, commissioned Handel to write two new operas. The first, Faramondo, was premiered on 3 January 1738. By this time, Handel had already begun work on Serse. The first act was composed between 26 December 1737 and 9 January 1738, the second was ready by 25 January, the third by 6 February, and Handel put the finishing touches to the score on 14 February. Serse was first performed at the King's Theatre, Haymarket on 15 April 1738. The first production was a complete failure. The audience may have been confused by the innovative nature of the work. Unlike his other operas for London, Handel included comic (buffo) elements in Serse. Although this had been typical for 17th-century Venetian works such as Cavalli's original setting of the libretto, by the 1730s an opera seria was expected to be wholly serious, with no mixing of the genres of tragedy and comedy or high and low class characters. 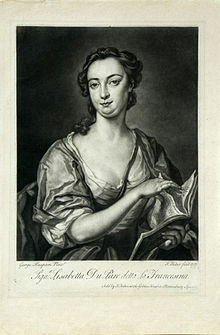 The musicologist Charles Burney later took Serse to task for violating decorum in this way, writing: "I have not been able to discover the author of the words of this drama: but it is one of the worst Handel ever set to Music: for besides feeble writing, there is a mixture of tragic-comedy and buffoonery in it, which Apostolo Zeno and Metastasio had banished from serious opera." Another unusual aspect of Serse is the number of short, one-part arias, when a typical opera seria of Handel's time was almost wholly made up of long, three-part da capo arias. This feature particularly struck the Earl of Shaftesbury, who attended the premiere and admired the opera. He noted "the airs too, for brevity's sake, as the opera would otherwise be too long [,] fall without any recitativ' intervening from one into another[,] that tis difficult to understand till it comes by frequent hearing to be well known. My own judgment is that it is a capital opera notwithstanding tis called a ballad one." It is likely that Handel had been influenced, both as regards the comedy and the absence of da capo arias, by the success in London of ballad operas such as The Beggar's Opera and John Frederick Lampe's The Dragon of Wantley, the latter of which was visited by Handel. A complete recording was made in 1979. A particularly highly acclaimed production, sung in English, was staged by the English National Opera in 1985, to mark the 300th anniversary of the composer's birth. Conducted by Sir Charles Mackerras, it was directed by Nicholas Hytner, who also translated the libretto, and starred Ann Murray in the title role, with Valerie Masterson as Romilda, Christopher Robson as Arsamene, and Lesley Garrett as Atalanta. The production returned for a sixth revival to the London Coliseum in September 2014, starring Alice Coote as Xerxes. Serse takes his sword and orders Arsamene to kill Romilda with it; but Amastre interrupts this and asks Serse if he truly wants treachery and infidelity to be punished. Serse says he does whereupon Amastre reveals her true identity as Serse's betrothed. Serse, abashed, admits his fault - he will marry Amastre as he promised, he wishes his brother Arsamene and Romilda happiness in their marriage, and all celebrate the fortunate outcome of events (Chorus:Ritorna a noi la calma). The libretto includes some motives that are based upon events that actually happened. Serse, Amastre and Arsamene are all based on historical persons. The story of Xerxes wanting to marry the love of his brother Arsamenes is based upon a real story. In reality though, it was a wife of another brother Xerxes fell in love with but failed to marry himself. The collapsing of a bridge over the Hellespont and Xerxes returning from a successful campaign in Greece are real events during the reign of Xerxes, though they are anachronistic here. This page is based on the Wikipedia article Serse; it is used under the Creative Commons Attribution-ShareAlike 3.0 Unported License (CC-BY-SA). You may redistribute it, verbatim or modified, providing that you comply with the terms of the CC-BY-SA.